The first comic book iAd ever – Mission: Donuts. The Mill Digital was charged with extending the first television campaign for the Nissan Juke to Apple’s digital ad platform. After reexamining the television spots(also created at The Mill) within the context of a graphic novel, we designed essential panels along with inter-frame transitional elements, breathing life into each via HTML5 animation. 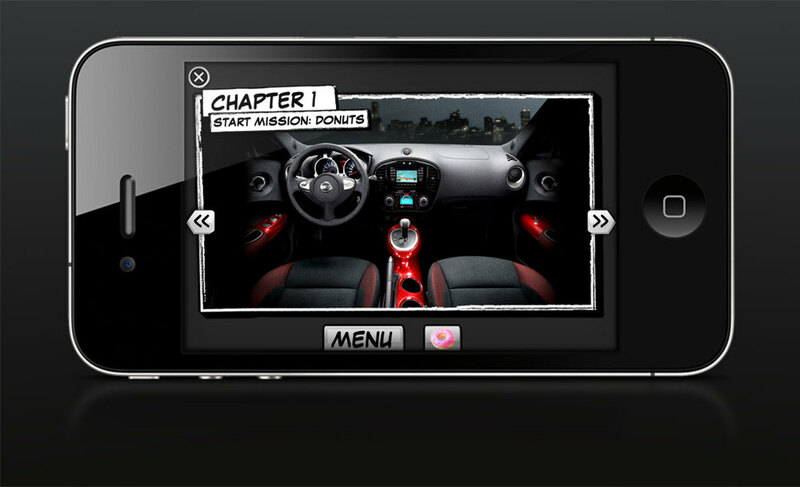 Five chapters, including turbo-charged getaways, a donut box shuffleboard mini-game, grumpy bosses and bonus donuts with exclusive content, engage users while demonstrating features of the Juke. Have a look at The Mill’s behind-the-scenes video here.